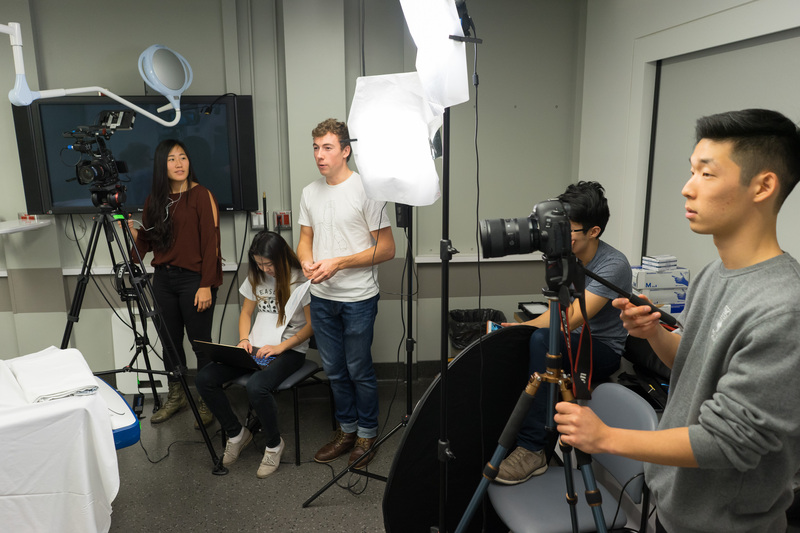 Looking to make their second video as part of their studies in the medical undergraduate program, five flex students embarked on a new video project diving into the cranial nerve and motor sensory examinations taught as part of their clinical skills. With media production support from MedIT and subject matter oversight from Dr. Henri-Bhargava and Dr. Valerio, students took a structured approach to scripting their videos. They thoughtfully organized their content, created shot diagrams to ensure content was displayed clearly, and developed shot lists to efficiently organize production day. When it came to production, the students assumed roles of camera operator, director, script supervisor, and lighting grip and got a taste of working on a film set. They worked quickly and managed to film all of their content in one day. MedIT supported the group with post-production tips and a tutorial in After Effects animation techniques. They were able to employ professional-grade animations in a fraction of the time. 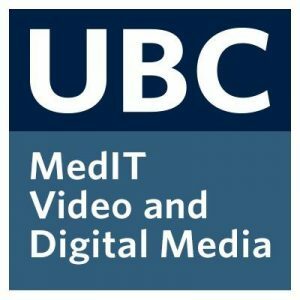 In the end, they produced two detailed, 16-minute clinical skills videos that demonstrate the hidden media production talent of the MDUP. John always had an interest in videography, and enjoys making side video projects in his spare time. He hopes that through creating videos as educational tools, he can better engage students and each them practical skills more effectively. As an avid movie-watcher, Vincent was always interested in learning about what goes on behind the scenes. Having never had the chance to pursue this interest, he took a shot at making the neurological Clinical Skills video and loved it. Kathy/Kashi always had been intrigued by different aspects of education: what makes one medium better than another and, further, what makes one lecturer a more effective teacher than another (Salman Khan of Khan Academy is her hero). Ge undertook this project because of her interest in marrying technology, medicine, and education, which she believes are important intersections to the practice and innovation in healthcare. She hopes their project and findings will inspire interest in technology in medicine as it is vital to our curriculum and often overlooked. Chris is UBC medical student in the class of 2020 at the Island Medical Program. He is passionate about learning how to use video, audio, and animation tools to educate students around topics that are difficult to describe using traditional still images, powerpoint, and textbooks. He is also interested in medicine. Kero is interested in technology in medicine and enjoys dabbling in video editing.